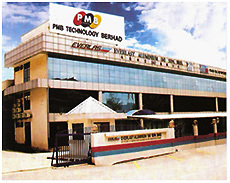 PMB Quick Access Sdn Bhd is one of the subsidiaries of PMB Technology Bhd. PMB Technology Group is listed in the 2nd board of Bursa Malaysia which involved in the production and provision of downstream aluminium products, principally ranging from the designing, fabricating and installation of aluminium façade systems, to the manufacturing and sales of aluminium access products. We are the 1st Aluminium Mobile Scaffold Tower manufacturer in Malaysia which offering a wide range of self-propelled aerial work platforms. Our Aluminium Mobile Scaffold Span Tower comes with full size aluminum toe board and castors wheels which are made by polyurethane material. And it is successfully achieved to international safety standard, both HD 1004-1992-3 and BS 1139:1994 (Part 3). We are also supply Personal Lift, Scissor Lifts, Boom Lift, Trailer Mounted Lift, and crane on both sales and rental basis.